9 December 2015, New York: Today the United Nations General Assembly unanimously adopted the resolution titled “The situation in Afghanistan”. This resolution reaffirms the long-term partnership of the international community with Afghanistan based on refreshed mutual commitments. 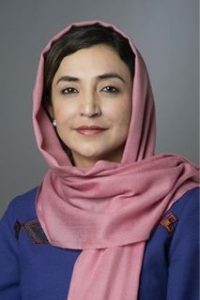 Members of the General Assembly reiterated the fact that there is an urgent need to tackle the challenges in Afghanistan, in particular the region-based violent extremist activities by the Taliban, including the Haqqani Network, Al‑Qaida and other violent and extremist groups and criminals. General assembly was also deeply concerned about the continuous and high level of violence in Afghanistan, especially the number of civilian casualties; it further expressed serious concern regarding the increasing presence of ISIL (Daish) in Afghanistan and their brutal acts, including killings of Afghan nationals. Members of the UN General Assembly recognize that an Afghan-led inclusive peace process backed by regional actors, in particular Pakistan, and supported by the international community, is essential for achieving long-term peace and stability in Afghanistan. Hence the members encourage Afghanistan and Pakistan to enhance their relationship that could lead to cooperation to effectively combat terrorism and move the Afghan-led Peace Process forward. The resolution stresses on the important and impartial role of the United Nations in promoting peace and stability in Afghanistan. 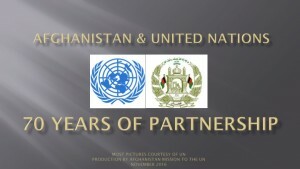 The resolution recognizes the importance of the continued international commitment to support the training, equipping, financing and development of the capacity of the Afghan National Defense and Security Forces throughout the Transformation Decade. The resolution welcomes the start of the second year of the National Unity Government and its achievements in political, economic, governance and social reforms, underlining the need to preserve past achievements, urges further improvements in this regard in particular to address poverty, delivery of services, stimulate economic growth, create employment opportunities, increase domestic revenue, and human rights, especially women’s rights and persons belonging to minorities. The resolution encourages all partners of Afghanistan to support constructively the Government of Afghanistan’s reform agenda as envisaged in the Self-Reliance Mutual Accountability Framework. This resolution, adopted on annual basis, is a series of political commitments of the international community through General Assembly. Germany is the pen-holder to this resolution.